“I congratulate the promoters – this is one of the more risky proposals for many years in Edinburgh. The way the competition has been structured has proved that the risk was worth taking. The winning design is a challenge to recover the historical memory of the valley, restore the connection between the Old and New Towns and at the same time, present a new shopping gallery worthy of the great European arcades of the Victorian era but containing an imaginative expression of our own, present day, culture. The winner of a major architectural competition run by Dutch developers, MAB Groep and The EDI Group, to identify an architectural practice to work up detailed proposals for a radical facelift for the east end of Princes Street (between Waverley Bridge and the National Gallery of Scotland), Edinburgh has been announced today (10 Dec 2002). Allan Murray Architects was chosen by the panel of judges as the architectural practice which will go forward to work with a full development team to create detailed design proposals for the Princes Street Galleries. 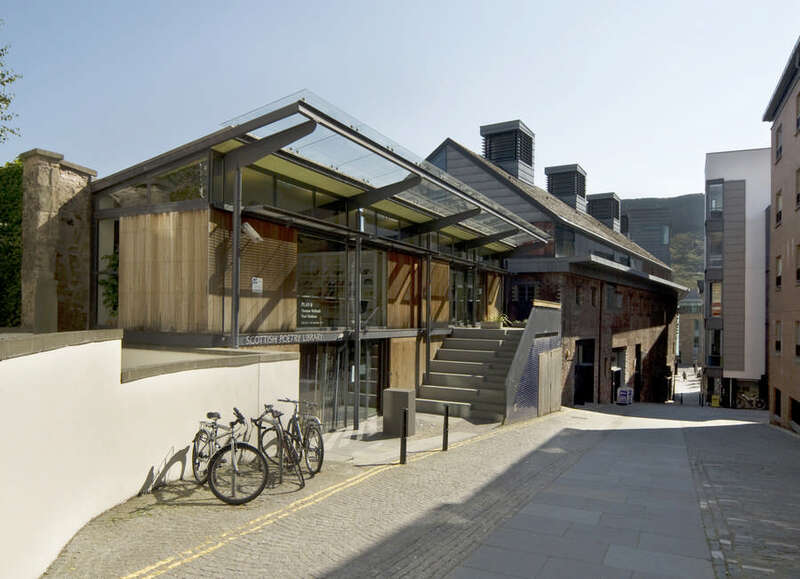 The Edinburgh based architect was selected from a shortlist of four practices- three Scottish and one Dutch – who submitted outline proposals for the scheme in response to the competition launched earlier this year. The competition was administered by the Royal Incorporation of Architects in Scotland. Murray’s practice was selected as the panel considered the overall approach not only increased the quality of shopping, but greatly improved the public space at the heart of Edinburgh. The judges were impressed with both the architect’s response to the brief, and the wider suggestions made to improve the public realm, commending his ‘broader vision to link the historical city with the New Town’ whilst creating an exciting ‘destination’. 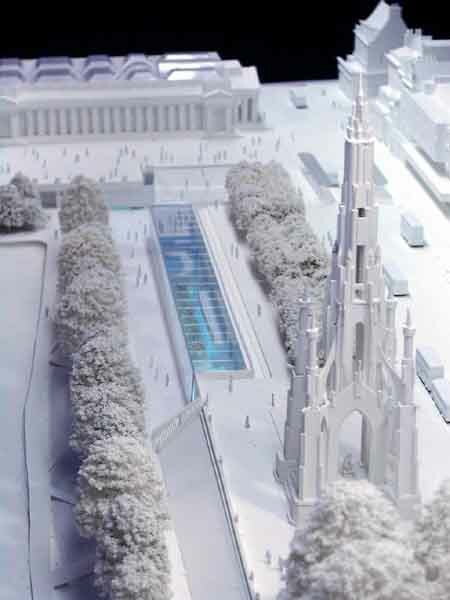 The approach brings together three dramatic elements: the creation of a Princes Street that will be a pleasure for pedestrians, the creation of a grand top-lit Gallery which would give views to the city, the gardens and the Scott Monument and which sensitively integrates shopping within the city centre and a new public square. Murray’s plans show a spacious entrance court leading down from the Royal Scottish Academy piazza, where a new open public square is created. The square also provides access to the new major entrance to the National Galleries which is currently under construction as part of the Playfair Project and which opens into East Princes Street Gardens. The other shortlisted architects were Erick van Egeraat Associated Architects, Gareth Hoskins Architects and Page and Park Architects. All of the shortlisted submissions will receive an honorarium of 10,000 . The next phase is to work up the concept ideas into a detailed planning submission, which will be presented in the autumn of 2003. The judging panel who oversaw the two-stage competition process was chaired by Barbara Kelly CBE, an expert in environmental issues and consumer affairs and recent chair of the Architects’ Registration Board; David Mackay, a partner in MBM, an internationally acclaimed practice based in Barcelona that specialises in European architecture and urban design; Rab Bennetts of Bennetts Associates, Scottish Architect of the Year 2001; Ton Meijer, chairman of MAB Groep and Councillor Lezley Cameron, chairman of The EDI Group. In 1985, she was appointed Chair of the Scottish Consumer Council; a post she held for five years. In 1990 she was invited to join the Board of the newly formed Scottish Enterprise and this was followed, in 1991, by an invitation to become Equal Opportunities Commissioner for Scotland, where she remained until 1995. Further achievements include membership of the Scottish Board of BP plc and the Scottish Post Office, along with her role as the first and only female Non-Executive Director of Clydesdale Bank Plc, from 1994 to 1999. More recently, Barbara’s key roles have included her term as Chair of the Architects’ Registration Board and Convenor of the Millennium Forest for Scotland Trust. Her current activities in the latter field have helped to secure a £30 million pound contract from the Millennium Commission for re-establishing the native woodlands right in Scotland. Of Irish and English descent, born in the 30’s, David Mackay has been practising architecture for over 45 years in Barcelona with his partners Josep Martorell and Oriol Bohigas (MBM). Apart from many housing and school projects the team is probably best known for the urban design of the Olympic Village and Port in 1992. They are at present engaged with work in Barcelona, Aix-en-Provence, Salerno, Pescara, ‘s-Hertogenbosch, Berlin, Dublin, Lower and more recently in Hastings and Bexhill. He has been member of the Senate Advisory Committee for the unification of Berlin and is now advisor to the Dublin Corporation. He was Senior Design Fellow (2000-01) at the London School of Economics within the City Design and Social Science Programme. He has written several books as well as various articles and given frequent lectures. During the past 15 years, Bennetts Associates has won several competitions – including Heathrow’s Visitor Centre and BT’s headquarters in Edinburgh. His other achievements include board membership of M4i, the movement for innovation, and Chair of the DTI Sustainability Working Group. In 2001, Rab was voted Scottish Architect of the Year. Brought up in Edinburgh, Rab retains strong family ties within the city. Ton Meijer joined the family firm Bouwbedrijf B. Meijer in the Netherlands in 1961, before starting his own firm MAB Groep B.V. in 1970, of which he is currently Chairman of the Board of Directors. By 1980, the company had more than 700 employees working in project development, construction and engineering. With the focus now firmly on project development, the firm has expanded from the Netherlands to France and Germany in the 1970s, the United Kingdom in the 1980s and Belgium in 2000. The core business of the company is the development of large-scale urban projects, such as Les Halles in Paris; the Babylon building and the Resident building in The Hague; and the centres of Le Havre, Aix-en-Provence, Frankfurt, Zoetermeer, Amstelveen and Almere. MAB has received various professional awards. The company is a four-time winner of both the ICSC award (International Council of Shopping Centres) and the NRW award (Netherlands Council of Shopping Centres). Mr. Meijer is a Board Member of the Netherlands Architecture Institute, the Berlage Institute and he is also a member of the Advisory Board of Wharton University, USA. He speaks Dutch, English, French and German, and has been awarded the Knight in the Order of Orange Nassau. He was voted Holland Real Estate’s ‘Man of the Year’ in 2002. Ton Meijer has an affinity with and love of art, which he inherited from his father, a committed art collector. He is married to Maya Bergmans, an art historian, and they have four children. Through membership of the Local Economic Forum and directorship of the Edinburgh & Lothians Tourist Board and the City Centre Partnership, Lezley has an important input to the development of the City’s economic, retail and tourism strategies and plays a particularly important role in the development of business tourism through her chairmanship of the Edinburgh International Conference Centre. 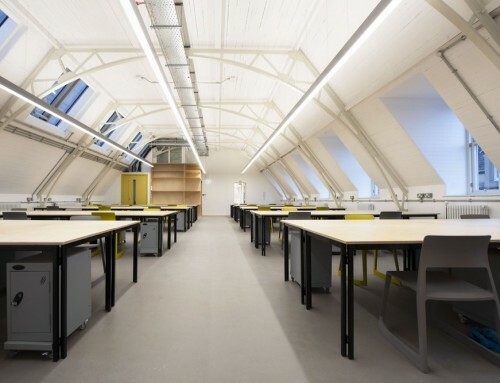 Based in Edinburgh, Allan Murray Architects is a young and expanding architectural practice, with significant experience in dealing with large-scale public buildings and urban spaces. Established in 1993, the practice comprises over 20 staff, including 11 qualified architects. The practice has won numerous architectural competitions and awards for design. Recent projects in Edinburgh include the Calton Square office and leisure development at Greenside, The Tun at Holyrood and the masterplan of the Lochside View development at Edinburgh Park. This invited competition for Site A allowed the practice to create a dense, urban environment with spaces for people, not cars, within the Edinburgh Park environment. Allan Murray Architects created a masterplan for over 250,000 sq ft of high quality office space in five buildings set within a rich landscape of orchard, canal, kiosks and avenues which creates a “city in miniature”. The design has become the forerunner of the next generation of development on the business park. 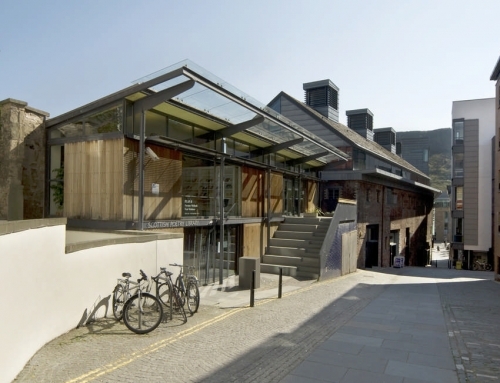 Situated in a high profile site adjacent to the Scottish Parliament, the mixed use development of the Tun comprises the reinvention of the former brewery ‘tun’ building, incorporating quality retail units reflected in the street frontage, combined with a dramatic new signature building on the prominent side of Holyrood Road. Behind a bold, canted glass façade is a café bar, prime office space and a rooftop restaurant overlooking Salisbury Crags. The design addresses a public square and a new route to the High Street, bringing new activities to this changing part of the city. 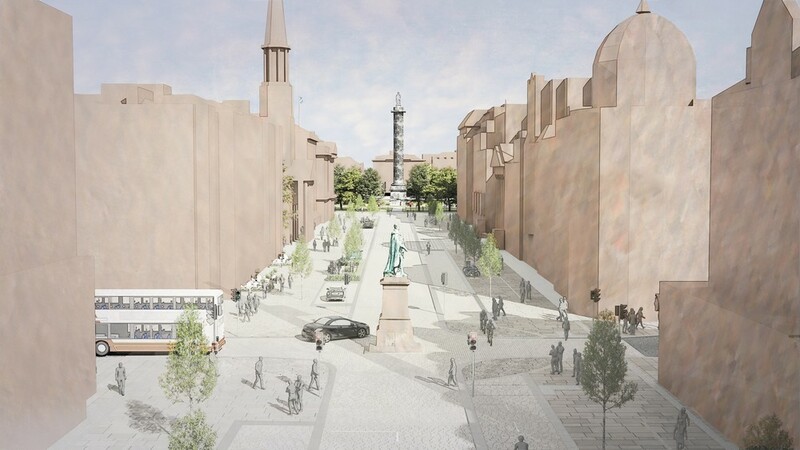 A European architectural competition, which focuses on a radical facelift for Edinburgh’s Princes Street, was launched today (8 August 2002) by a joint venture partnership formed between Dutch property company, MAB, and The EDI Group. The competition will be administered by the Royal Incorporation of Architects in Scotland (RIAS). The brief for the competition invites responses from a shortlist of 12 national and international architects, to explore a new concept approach to the Princes Street Galleries development which focuses on the east end of Princes Street. The scope of the brief examines opportunities to produce a cohesive plan for substantial environmental improvements and streetscape design at the east end of the famous thoroughfare. 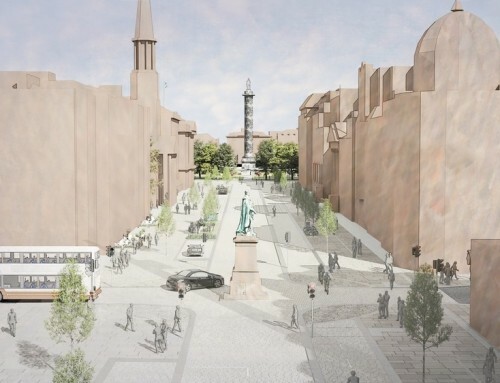 The intention of a scheme for the east section of Princes Street is to look for an urban approach that will become the catalyst for change over the entire length of the street. The competition will run in two stages. Responses to the initial brief are scheduled for submission in September. Following an initial assessment by the competition judges, a more detailed Stage 2 brief will be discussed with four or five successful practices. Final selection of the successful design will take place in December this year. It is important to note that only ideas are being sought at this stage. 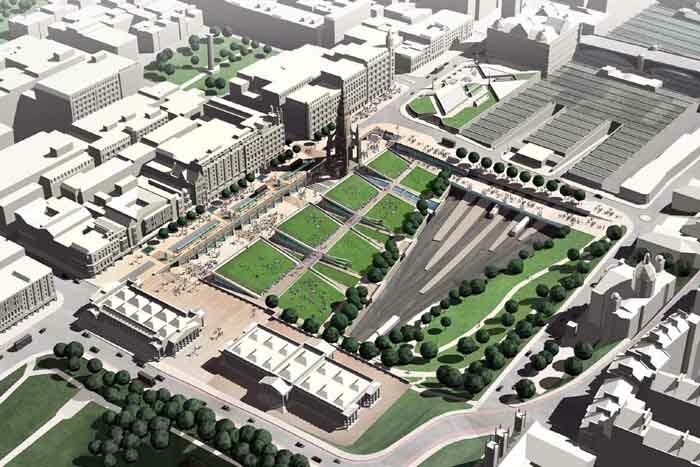 The aim is to explore new ideas for a development that will rejuvenate Princes Street. 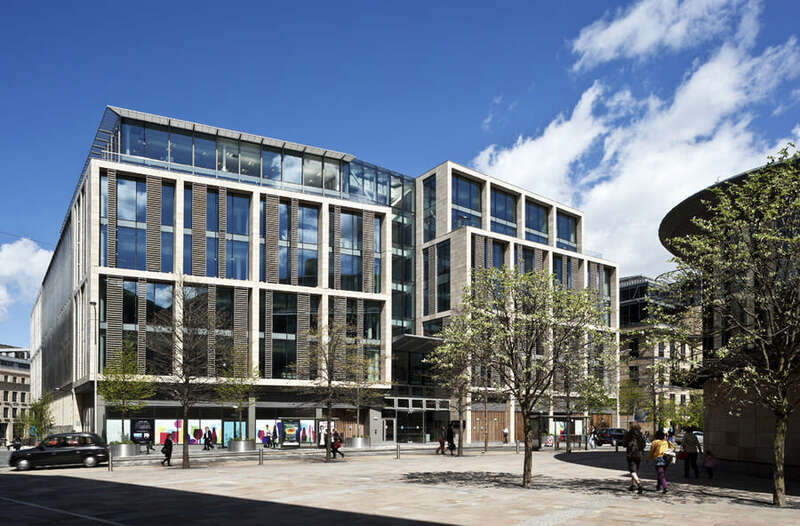 Property development and investment company, MAB has been in discussions with EDI Group for some time regarding Princes Street Galleries development. The company has an excellent reputation in international property development for delivering visionary projects and unique experience in working in historic environments in European cities. 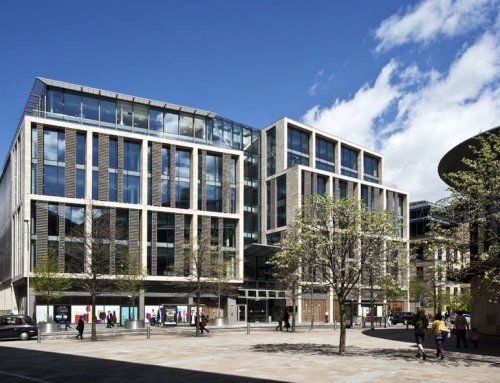 Karen Walker, development director for MAB, said: “A radical facelift for Princes Street is consistently highlighted by residents, tourists, politicians and heritage bodies as essential for the future success of Scotland’s capital city. 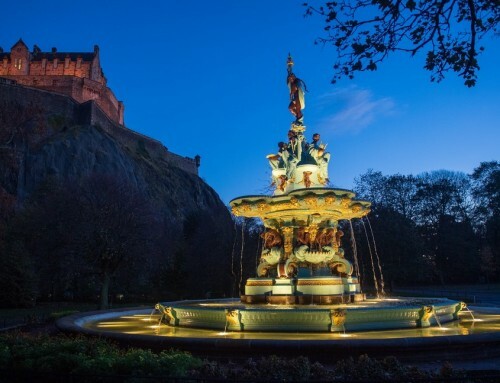 The timing of this competition will offer a unique opportunity to explore options to regenerate Princes Street, to the benefit of the city centre as a whole. A distinguished judging panel will oversee the competition process in association with the RIAS. Barbara Kelly, CBE, an expert in environmental issues and consumer affairs and recent chair of the Architects’ Registration Board, will chair the panel. She will be joined by Scottish Architect of the Year 2001, Rab Bennetts of Bennetts Associates; David Mackay, a partner in MBM, an internationally acclaimed practice based in Barcelona that specialises in European architecture and urban design; Ton Meijer, chairman of MAB Group and Councillor Lezley Cameron, chairman of The EDI Group. The aim is to select a masterplan architect from the 12 long leet of firms by Dec 2002. A detailed planning application will then be submitted in late 2003. 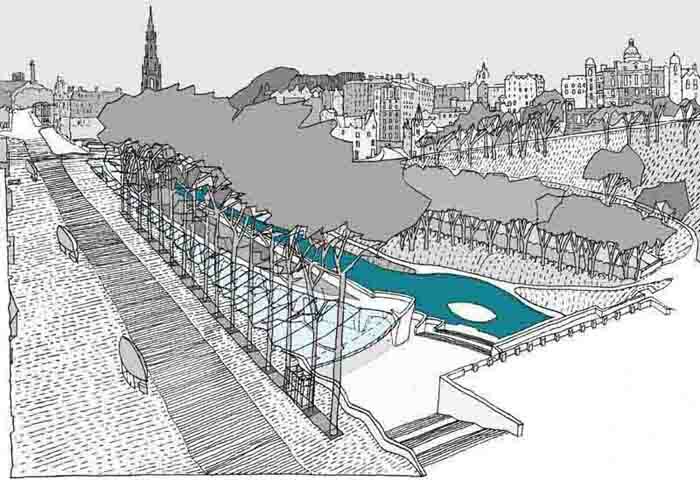 Princes Street ‘Galleries’ – original proposal in 2002 for half a mile of mall under Princes St. – current proposal involves mall from Waverley to the Mound.